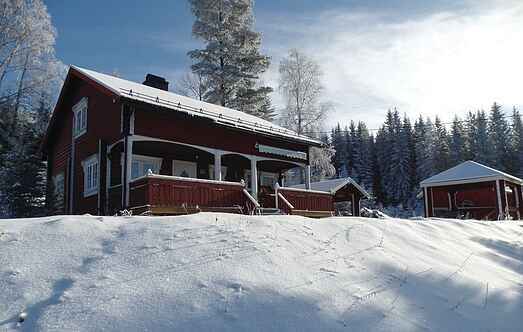 Find a vacation home to rent in Åsnes Municipality from our list of vacation rental properties. Campaya has over 1 vacation homes available in Åsnes Municipality, which give you the possibility to locate a unique accommodation in Åsnes Municipality which completes your check-list in search for the perfect self catering vacation apartments in Åsnes Municipality or vacation villas in Åsnes Municipality. Nice log cabin in an area without neighbours closeby. Large kitchen & dining area, and a dining table with good chairs in the living room. Good couch/sleeping couch.